Shimla News...Follow the Pine Scent ! 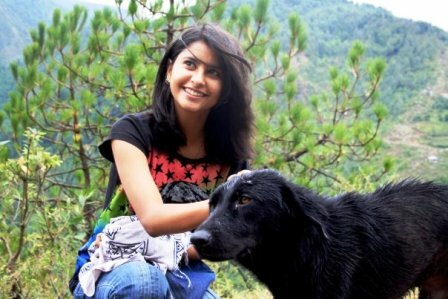 , Dharamsala News Archives 2009...Click Here ! Shimla News..India Tour.." The Spirit will stumble upon God in its Quest for Paradise ! 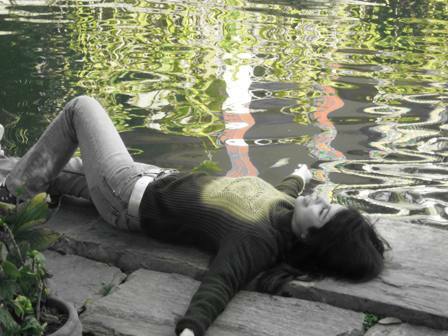 ", India 2010. Dharamsala News Live: Energizing 2010, India, January 01,2010. The Body will rejuvenate with the Ancient art of the Mahayogi, 'Shiva'..The Mind will be Enlightened by the 'Buddha'..but, the Heart will cherish India, with its own Song !..It will remember for long the heartwarming Flavours of an Indian Kitchen and the finger licking comedy of your guiding companion ! Dharamsala News..For Energizing 2010 Vacations in India..Click here ! Shimla News : Rock of Peace..Soul of Jimi Hendrix 2010 !, North India 2010. Dharamsala,Shimla News Live: 'Soul of Peace..A Memoir 2010 !, January 29, 2010. Watching the snow cloud over the Dhauladhar range from my window today and walking down memory lane, I recollect my early days of high school and college..the 70's. It was Rock music & the Beatles ! 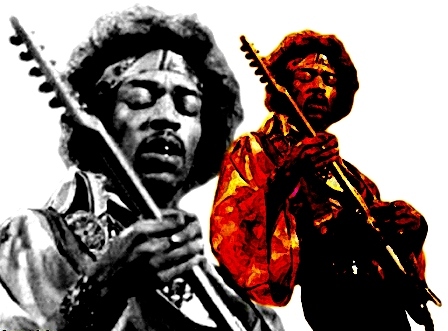 I listened first time to the rock guitar of Jimi Hendrix and it reached my soul ! 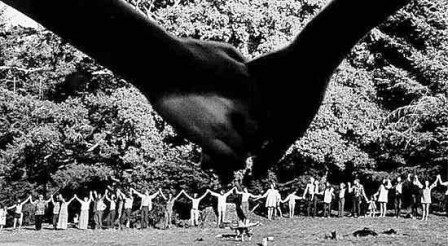 I followed his music then and the Woodstock Festival of '69, who can forget. It was 'Levi's Jeans' and bell-bottoms with my old Dingo boots for me as I walked thru the cool streets of Mcleodganj in Dharamsala and sipped endless coffee in Kailash Hotel..just listening to this great Afro-artist. 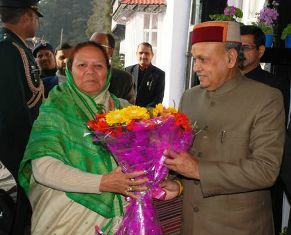 Shimla News : CM of Himachal, Prof. PK Dhumal welcoming the new Governor, Smt. 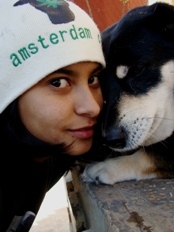 Urmila Singh 2010 !, North India 2010. Dharamsala News Live: 'Himachal Statehood Day 2010 !, January 25, 2010. Shimla News ..In celebration of the Statehood of Himachal Pradesh, the Govt. has committed to its people, a better governance in all areas. The CM has assured an efficient, able and strict administration offering good basic amenities like water, power , health & education to all sections of society. We the Himalayan people, wish our state a higher degree of achievement with the sincere endeavour of the Govt. and cooperation of responsible citizens. Distant Land, the roar of the Sea..
Makes me ponder, this Great Nature’s wonder..? Great heroes of Time..History cries.. Hiding alone , no one beside..! Time,..only will reveal the Teachings of the Sages.. ..
or will it stand witness to the tears of the unspoken !! @copyright...Arvind Gurung, Jan 2010 (My Personal Collection). ..Dedicated to the Victims of the Haiti Earthquake 2010. 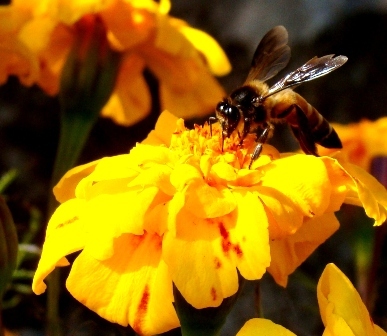 Shimla News : "Sweet Pollen Romance of the Bumble Bee" 2010 !, North India 2010. Dharamsala News Live: 'January Calendar Blues 2010 !, January 22, 2010. 02nd Jan, 2010..'Class of 80's Reunion' in Gurgaon, 22nd/24th January,'Kitti's Marriage' in Lucknow..End January, 2010 Travel Event in Delhi...we are missing all three on our Travel Calendar for the Month with the many problems we have ! ..Long lost friends, Kith n' Kins, who we had not met from ages and trade associates, who for long had not featured in our Appointment Dairy...Life goes on, very much like the changing colors of different seasons. Almost all relationships today have a shelf-life, a measured tenure, sometimes reminiscent of 'caring times' and sometimes forgettable, by their inability to survive the Storms of Time ! Time holds still..we missed the melody of the 'ladies sangeet', but 22nd January, 2010 was well spent with the friends we had with us. The inimical 'Romance of the Bumble Bee', the newly born baby Sparrows, just testing their wings and the secret murmur of 'Shared Secrets'. Life is best remembered by those we have, rather than by those we lost on the way ! Shimla News : " Brajeshwari Kangra Mandir" 2010 !, North India 2010. Dharamsala News Live: Pilgrimage Kangra 2010 !, January 21, 2010. 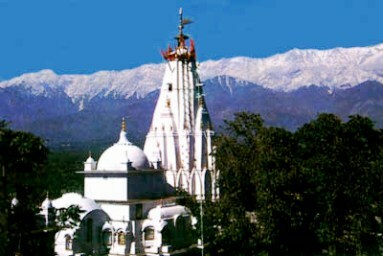 Thousands of devotees thronged the ancient shrine of Mata Brajeshwari in Kangra on the auspiciuos occasion of 'Makar-Sankranti- 2010'. Butter sculptures and flower decorations along with 'holy dips', bhajans added to the festive gaiety ! Shimla News : " Wiping the Tears of Haiti " 2010 !, North India 2010. Dharamsala News Live: Haiti Earthquake 2010 !, January 19, 2010. We the Global Community all over the world are today concerned with the vast human destruction in 'Haiti'. The Human Chain is as strong as the efforts which are needed to 'Wipe the Tears of Haiti' and bring the people back to a life of dignity and confidence to face the future. The past and present Presidents of America,..Mr. Bill Clinton, Mr. George W Bush and Mr Barack Obama, have all in a unified initiative made a united call to all for 'a helping hand' to save Haiti.
" When I am in my ego, then You (Lord) are not with me. Now that You are with me, there is no egotism within me !" 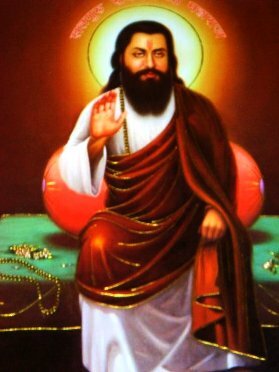 ...Sant Guru Ravi Dasji (1376-1527). Dharamsala News Live: 2010 !, January 18, 2010. Sant Guru Ravi Das, carrying with him the 'Wisdom of the Ages', will be remembered on 30th January, 2010, by all his devotees all over the globe. His sacred teachings denounce 'untouchability' and show the 'Path of Love and Compassion' for all sentient beings. 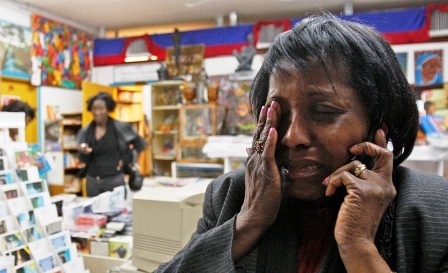 Shimla News : " Tears of Haiti 2010 !, North India 2010. Dharamsala News Live: Haiti Earthquake 2010 !, January 15, 2010. 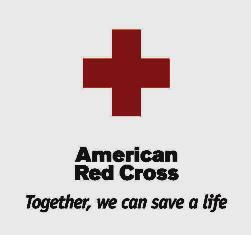 Our heart reaches out to all those affected by the wrath of Nature in the recent Haiti Earthquake. As part of an extended Global family, it is obligatory for each one us to stand together and pray at this moment of human tragedy. Along with our prayers and efforts on 'disaster management', we can all contribute by a helping hand at the many websites and assistance counters available..
Use the Charity Navigator for contributing at your chosen Charity Organization...For this Click the Red Cross Graphic below !! Shimla News..India Tour:"Surya Grahan" 2010, North India 2010. Dharamsala News Live: Solar Eclipse 2010 !, January 13, 2010. The dawn of 2010 will bring, a glimpse of the first Solar eclipse of this year. The next one will appear in 2020 ! On January 15, we will be seeing an annular Solar eclipse in our skies. 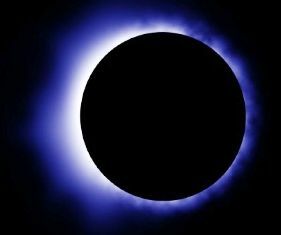 Unlike total solar eclipses, it won't have the diamond ring. Instead, there will be a gold ring around the Sun. This would also be quite a long eclipse and is expected to last over 10 minutes. It is expected to begin by 13: 23 IST, and will last for around 10.4 minutes. If you happen to be somewhere in the Indian Ocean, it will last a minute longer and continue for 11 minutes and 7 seconds. ..May the Gods shower celestial blessings upon Mother Earth and to India to bring in Peace , Harmony and Belonging to each and everyone, and give us the courage to fight injustice and bad 'karmas'! OM 'Surya' Devaye Namah ! Shimla News..India Tour:"Maha Kumbh Mela 2010",Haridwar,Uttrakhand,North India 2010. Dharamsala News Live: "My Spiritual India...Sangeeta !, January 12, 2010. "Haridwar, the Holy City of the Ganges, is the city of my birth. There are many memories which still stay, the cool breeze of 'Har-ki-Pauri'...the 'Naga' Babas, which as a child scared me ! My father now retired Chief Engineer (UP), Shri. VN Saxena, made it a point to take me to revisit 'Haridwar', when I was in my teens. The 'Ganga-Aarti' Ceremony, was a soul searching experience, which will always be with me in my Body, Mind & Soul !" 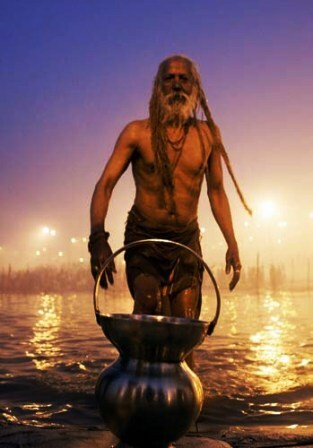 The auspicious "Kumbh Mela" in Haridwar will be held from 14th January to 28th April, 2010. It is a privileged occasion for the Himalayan state of Uttarakhand, where millions of International tourists and devotees alike, will meet besides the 'Healing Waters' of the 'Holy Ganges' ! For Life-Style Spiritual India Tour, Click the Graphic below ! Shimla News..India Tour..Himachal Polio 2010 ",North India 2010. Dharamsala News Live: Polio Campaign 2010, Himachal India, January 11, 2010. 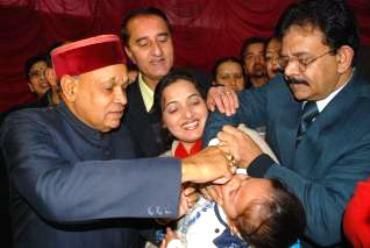 Shimla News : The Polio-drop Campaign 2010 in Himachal Pradesh took off on 10th January, with the encouraging hands of CM Prof. PK Dhumal, inaugurating the occasion. The second phase is scheduled for 07th February, in the Himalayan state. Shimla News..India Tour.."Himalayan Festivals ",North India 2010. Dharamsala News Live: "Sombhadra Festival", Dharamsala/Shimla News, India, January 07, 2010. 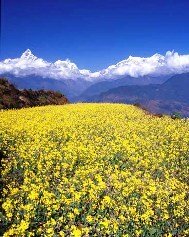 With the fresh fragnance of Spring flowers in the air and Father Frost on his way out, there are many festive occasions in the Indian calendar, which hosts the forthcoming harvest. In the "Himalayas', Fairs & Festivals mark the onset of Sky kissing swings with fun n' frolic. 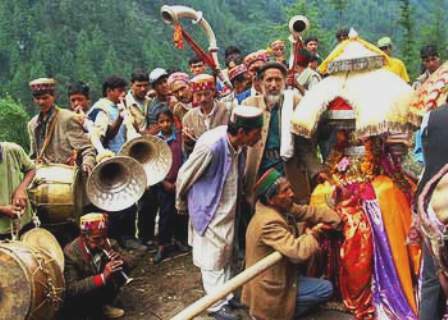 Along with many other Himachal Fairs, the Sombhadra Festival, will also be revived in April, 2010! Shimla News..India Tour.." There is no bigger power than that of a Mind which is ruled by the Heart ! "..Mata Saraswati Devi, North India 2010. Dharamsala News Live: "Basant Panchami Festival", Dharamsala India, January 07, 2010. 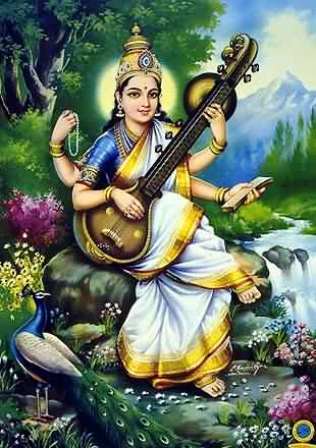 Mata Saraswati – The Goddess of Learning.. Maa 'Saraswati' is the Goddess to worship on the day of 'Basant Panchami' . 'Saraswati Devi', is the patron Goddess for Knowledge and clarity of 'vision' and 'thought'. As, the divine symbol of Vedic knowledge and wisdom, she is revered by scholars and artists. According to the traditions in many communities, the 'pen' is worshipped, to seek the blessings of the muse, for the successful victory of the 'Mind'! Shimla News..India Tour.." Father Frost on His way to Dharamsala ! 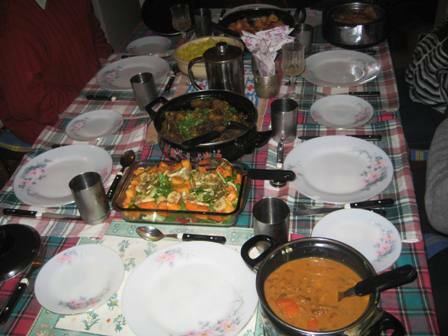 ", Himachal Pradesh, India 2010. Dharamsala/Shimla News Live: Chill Out, Dharamsala 2010, India, January 04,2010. The first winter snow took a high on the 'Moon Peak' of the Mighty Dhauladhar in Dharamsala. Snow covered white ridges foretold of winter Himalayan tales around warm fire hearths. Family, friends, warm jackets, hot cognac and table side brimming with hot 'roasts' and steaming 'momos', highlighted the Fun n' Snow buzz ! Shimla News..India Tour.." Heralding the Spring Harvest ! ", South India 2010. 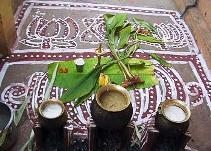 The 'Pongal Festival' is a four-days-long harvest festival celebrated in South India. For as long as people have been planting and gathering food, there has been some form of harvest festival. 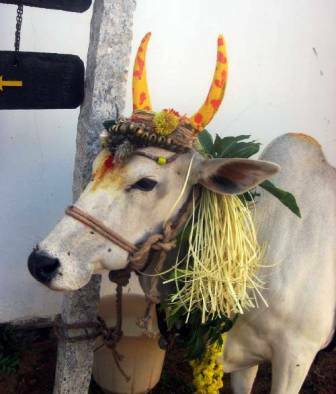 Pongal, one of the most important popular Hindu festivals of the year. This four-day festival of thanksgiving to nature takes its name from the Tamil word meaning "to boil" and is held in the month of Thai (January-February) during the season when rice and other cereals, sugar-cane, and turmeric (an essential ingredient in Tamil cooking) are harvested. 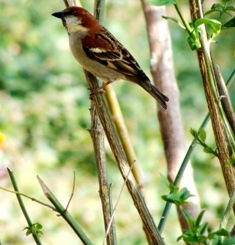 We wish all our valued Global Friends the Warm Harvest of Spring for 2010. Shimla News..India Tour.." The Alms of Peace ! ", Bodhgaya, India 2010. Dharamsala News Live: Buddha Peace 2010, Bodhgaya India, January 03,2010. BODH GAYA.. “Like Lord Buddha begged for alms and food for his living, we want to revive the age-old tradition. Lord Buddha used to perform holy rituals and go out begging to make a connection with the common people. 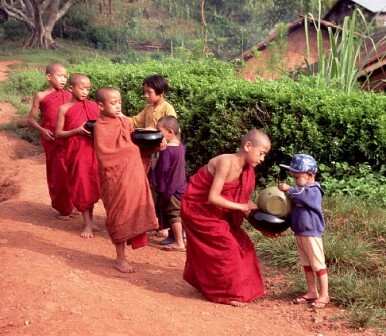 So, we want to follow the footsteps of Lord Buddha !" Led by the 17th Karmapa of Tibet and assisted by many Global willing hands, this ancient buddhist tradition saw 'light' at Bodhgaya with the universal message of 'Peace'. Thousands of Buddhist monks from all over the world attended this auspicious occasion at the beginning of the New Year..2010 !